I have read the "Experience" and the "Ranking Guide" but i still don't understand what i am supposed to do after character creation. After my RPC was accepted i was told to "Please move unto creating your statistics". Now the message is clear, but i don't understand how to do the statistics. Also having come this far i am wondering if there will be steps after statistics that i am missing? Before you go any further, it is also good to look at some examples of statistics HERE. This will also be where you will be posting your statistics. After posting your statistics you will be making your jutsu's HERE. You're fine. I'll try to help you as best as I can. It takes 1,500 Exp to go from D to C rank and 2,250 to go from C to B. Seeing as you are a Genin, this is all you need to know when starting your character. D ranks are free when you are creating your statistics, however. They cost 3,000 exp when your character is fully approved and you wish to add a new element or specialization. If you have a B rank element, thanks to your EXP, you will be able to use jutsu's and techniques that are B ranked and based off of that element. EXP=higher elements which allows you to use higher element jutsus. At the beginning of creating your character, no matter how high your rank is, you will only be allowed 2 E rank jutsus, 5 D rank jutsus, and 3 C rank jutsus. However, if you do not have a C rank element then you will not be allowed to have a C rank jutsu based on that element. Remember, higher elements allow you to use higher element jutsus. Thank you Storm that is exactly what i needed. so new question. Wen applying experience to statistic and your bloodline requires an element: Do you need to put points into the bloodline or spend points and learn the element to use the bloodline jutsu? 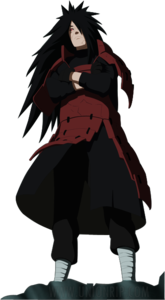 Being such its bloodline limit is Ranton: Storm release, and has 4 related jutsu. So to use the 4 related jutsu: Do i need to spend points and learn Ranton to use them, or do i just put points into my bloodline. I also considered both being necessary. Since Ranton is a Kekkei Genkai it goes with your bloodline.